The time for passive plotting has passed in the fifth episode of the season, ‘Contorno’. Various factions make their moves but predictably, the end result is nothing but chaos. In Florence, Rinaldo Pazzi continues to hunger for a chance to redeem himself and salvage his family’s storied name but his desperation proves to be his undoing as he plays right into Hannibal’s plans. 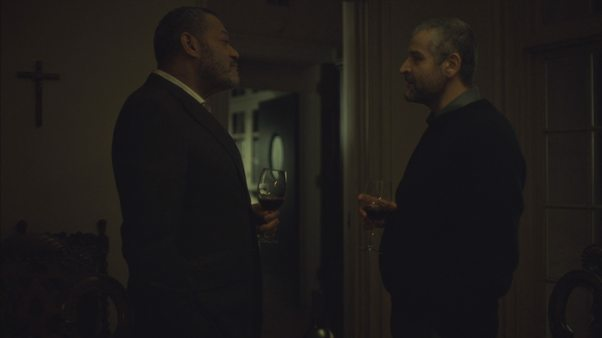 Pazzi’s death should come as no surprise to anyone paying attention – unlike Jack Crawford and Will Graham, Pazzi never really understood just what sort of creature he was dealing with. Combined with an unfortunate and unbecoming greed, it was only a matter of time before Pazzi made one mistake too many and left himself vulnerable to Hannibal’s attack. Yet, there was still some good that came out of that episode – Jack gets a chance to even the score with Hannibal after the brutal smack-down that the latter laid down on him in ‘Mizumono’ last season. 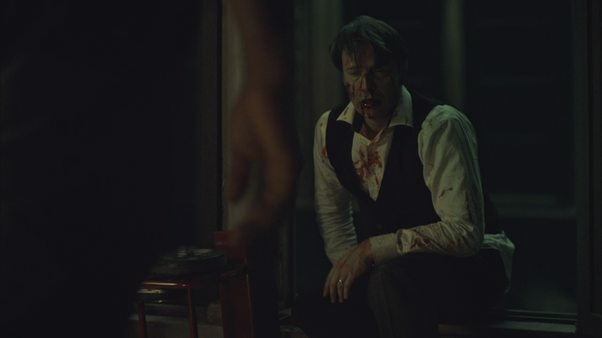 There is something deeply satisfying about watching Jack manhandle Hannibal the way he did, not the least of which is that it breaks the illusion of invulnerability that has surrounded Hannibal Lecter for too long. Hannibal’s other seekers, Alana Bloom, Mason Verger, Will Graham and Chiyoh, all run into setbacks as well, including, but not limited to being thrown off a train. If the dynamic duo of Alana and Mason is meant to inspire fear or even generate a credible level of threat, it isn’t working. While Mason is repulsive to look at and somehow even worse to listen to, it is hard to think that there will ever be a turn of events where Verger is able to outmanoeuvre Hannibal. Alana is no Will Graham – try as she might, she cannot place herself in Hannibal’s shoes adequately enough to predict his next move and without such knowledge, their little quest is doomed to fail. 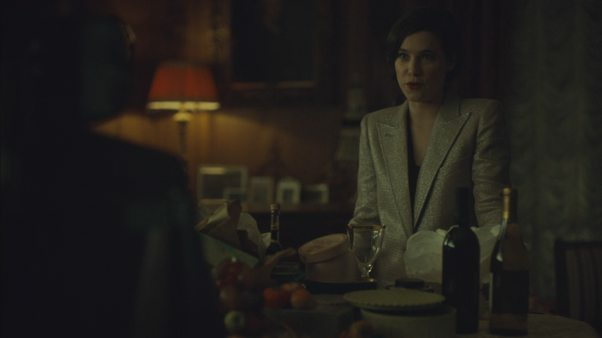 Still, Alana has made some progress; her clever detective work uncovered Hannibal’s location, a sign that while she doesn’t understand Hannibal the way Will and, maybe, Jack do, she is still capable of some contribution. It seems that Mason Verger’s sole purpose in all this is to provide financial support and ample misogyny. This episode provides the perfect metaphor for their partnership – every time they take one step forward, they find that Hannibal has taken two. This brings us to the unfortunate case of Inspector Rinaldo Pazzi. In the season’s first episode, he seemed like a poor man’s Jack Crawford but calling him such now would only be a disservice to Jack. To say that Pazzi should have known better is a massive understatement – he was familiar with his ‘Il Monstro’ and presumably read enough on Hannibal Lecter to know that going to the man alone, after dark is tantamount to suicide, especially after he so very blatantly rung every possible alarm bell in Hannibal’s mind a short while ago. Pazzi’s death was confirmed long before he took Hannibal’s knife – the extremely common, manipulative trope of humanizing a character before killing him is not something even a show as artistic as Hannibal is above using. We meet Pazzi’s pretty young wife as he tells his some of his hopes and dreams and if by that moment it wasn’t clear that Pazzi would die soon, you have not watched or read enough fiction. Pazzi’s death itself was brutal drugged and gutted but from someone like Hannibal, such a death was almost contemptuous. He didn’t receive the careful, artistic arrangement that Hannibal’s more recent victims did – instead, he hung and displayed in a crude, bloody manner; a reflection of Hannibal’s disdain for Pazzi selling out instead of at least being honourable. It’s that lack of honour that makes it harder to sympathize with Pazzi. He joins the increasingly long list of characters who could have just killed Hannibal and walked away knowing that they had saved lives even if it meant jail time for them but didn’t for their own selfish reasons. We’ve seen this all before – Will, Jack and Bedelia all spared Hannibal at various points despite having him at their mercy. Speaking of Will, we can finally begin to piece together his motives for this euro-trip. As usual, everything isn’t explicitly spelled out, but we are told clearly that Will is aware that is becoming increasingly Hannibal-esque and for reasons that aren’t totally clear, believes that Hannibal’s death will prevent this from happening. One, somewhat convoluted path of logic would be that as long as Hannibal is alive, Will feels the temptation to join in the life that they could have had together, exploring each other’s minds (and who knows what else) while presumably feasting on corpse after corpse. With Hannibal dead however, that dream dies and Will will have no option but to pursue what we can only describe as a simpler life. Of course, this means that Will isn’t particularly inclined to kill Hannibal except out of a confused, misplaced sense of self-preservation. Chiyoh’s reasons for seeking Hannibal are even murkier though it seems that she and Will have one thing in common – Hannibal was a mentor to both. She reveals that she knows that Hannibal has been in Florence all this while but that only makes her motivations even less clear. She tosses Will off the train, notably after he mentions that he intends to kill Hannibal but it isn’t that simple. Like Will, it seems she loves Hannibal too and even all these years later, is still bound to him in ways that she herself does not fully understand. Finally, we have Jack and his reunion with Hannibal. Hannibal has been spending most of this season lounging and enjoying himself but Pazzi is able to force Hannibal’s hand, to an extent. Pazzi stupidly reveals that Hannibal is a suspect for the murders amongst the faculty and that immediately moves the whole situation to an ultimatum – Hannibal must kill Pazzi and move or let him live and leave the country. Fortunately for Hannibal, Pazzi mistakenly believes that he has time and that Hannibal is unaware of who he is or what he is doing and ends up dead. Regardless, Pazzi’s death seems to signify, without a doubt, that Hannibal’s time in Italy is at its end but Jack’s presence only serves to highlight that. The beatdown that Jack serves to Hannibal was absolutely brutal, perhaps more so than Hannibal’s in ‘Mizumono’ but where Jack managed to at least give Hannibal a fight the last time, the latter seems unable to reciprocate this time. It’s a one-sided affair from start to finish – Jack gets the jump on Hannibal and from that point out, the latter just can’t get back into it. The startling thing about the entire affair is that Hannibal is able to escape at all. It’s insane to think that Hannibal can take a beating like that, not to mention being stabbed in the leg, and just walk it off. Still, if nothing else, this episode served to dispel an important myth: that of Hannibal’s invincibility. Even before ‘Mizomono’, Hannibal has seemed like this larger than life, capable of not just outsmarting but also outfighting his foes with ease but this episode showed that Hannibal, for all the comparisons to the devil, is still just a human.